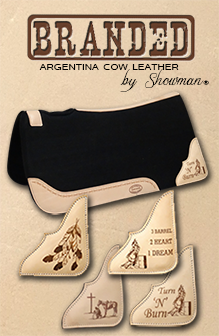 Showman ® PONY floral tooled browband headstall and breastcollar set with horse head conchos. This set features double stitched medium oiled leather with floral tooling and is accented with copper studs and horse head conchos and buckles. 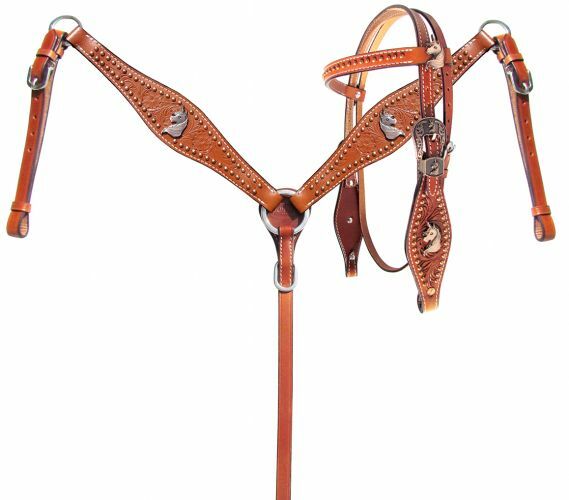 Headstall comes with 5/7' x 6ft reins.